What happens when two film-makers and a painter sit down in a gallery in Paris to discuss Congolese cinema? Tune in now to know. Profiles of Jean-Pierre Bekolo and Mwezé Ngangura here and here. 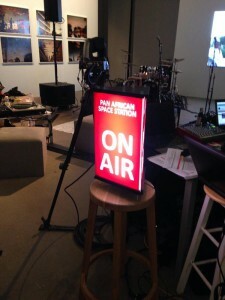 Category: Pass Blog | Tags: cinema, Congo, Congolese Sounds, PASS Paris | Bookmark: permalink.